No matter how many foreign dishes I try and enjoy, my heart (and taste buds) still yearns for the more familiar, lutong bahay Filipino food. Filipno dishes still remain as my favourite, which is why I often gravitate first towards the Filo section when I’m in international buffets. But then again, this doesn’t mean that I don’t get picky when it comes to Filipino food. It’s natural to have preferences among our favourites and with the different innovations and variety of choices that we now have when it comes to Pinoy cuisine (Adobo for example, seemed to have an array of different versions in the Philippines alone), I always get delighted when I find a restaurant that perfectly meets my native Pinoy taste. One of these restaurants, it would seem, is Sarsa Kitchen + Bar. Conveniently located at the Forum at 7th Street, Bonifacio Global City, Taguig (right in front of the NBC tent), my buddies and I walked all the way from Bonifacio High Street so we can try for ourselves this relatively new restaurant that was highly recommended by friends. We were given a warning though that the waiting line at Sarsa Kitchen + Bar is usually long, but we decided to take our chances anyway. 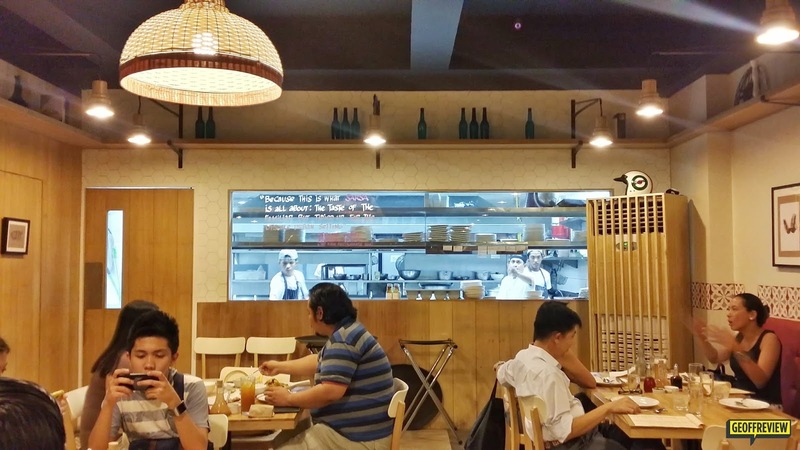 It’s easy to spot Sarsa Kitchen +Bar at the Forum with the small crowd of diners eagerly waiting for their turn to be seated inside the restaurant. Apparently, we were lucky that night because it only took a few minutes for us to be seated. While waiting for our orders, we took the chance to create a quick survey of the establishment. 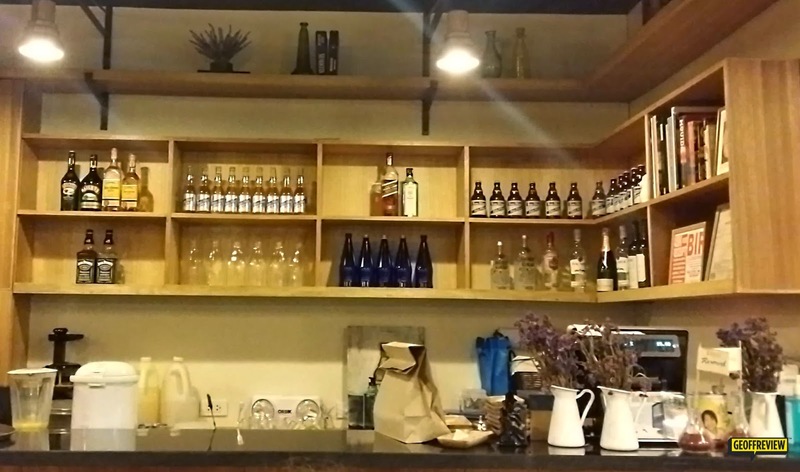 Given the limited area the Forum units, Sarsa Kitchen + Bar did pretty well in utilizing the small space. A lot of people can dine at the same time, no wonder it didn’t take long for our names to be called. The restaurant has an elegant interior with Filipino designs. The far end of the room shows the kitchen where you can see the cooks preparing your dishes, and on the left wall near the kitchen is a small bar where they serve drinks (yes, alcoholic ones too). We ordered a variety of dishes that night which were served in no time. 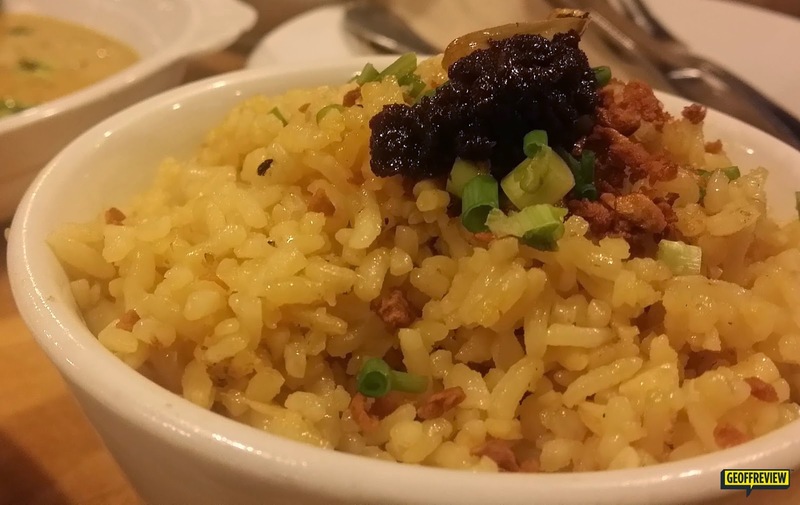 But since this is about Filipino food, allow me to start with how much I loved their Ginamos Fried Rice. They should serve this by the Kaldero! I loved their Garlic Rice too! The Twice-cooked Pork Belly (Php 240.00) was the star of the night! 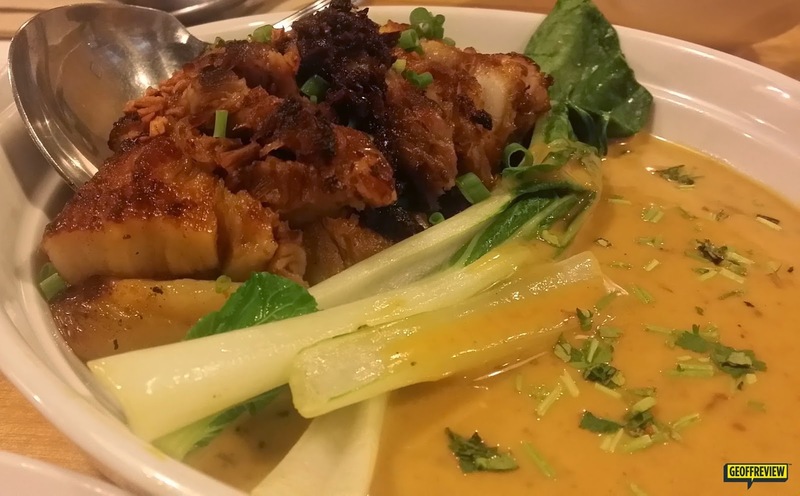 I didn’t get the chance to ask why it’s “Twice-cooked” but to give you an idea how it is, it’s like soft and flavourful liempo served Kare-kare style, with pechay swimming in tasty Ginamos Gata (which really reminded me of peanut sauce). The pork belly is already delicious on its own, with the right mix of fat and meat, but just try covering it generously with Ginamos Gata and bagoong and the resulting taste is orgasmic. 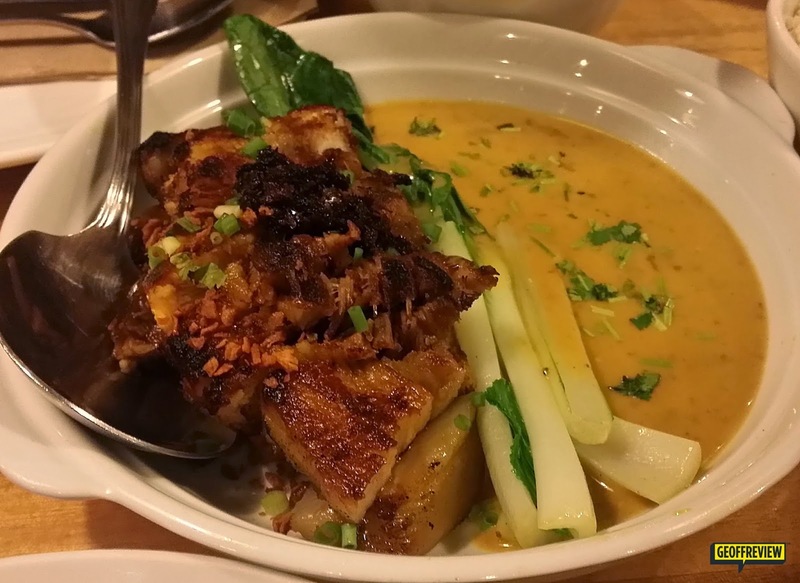 The Twice-cooked Pork Belly was also garnished with some bagoong, garlic, and spring onions – most of the dished served here in Sarsa Kitchen + Bar’s Ginamos seemed to be so. 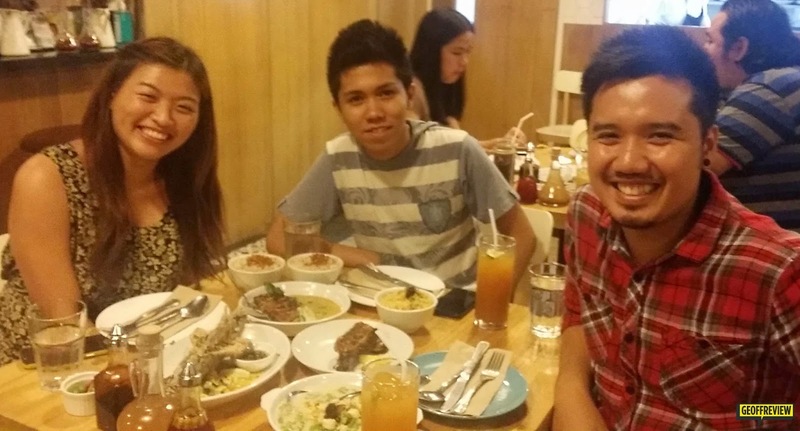 The Chicken Inasal Sarsa Trio also looked tempting so we ordered one. We had the Pa-a part (chicken thigh and leg (PhP 165.00). 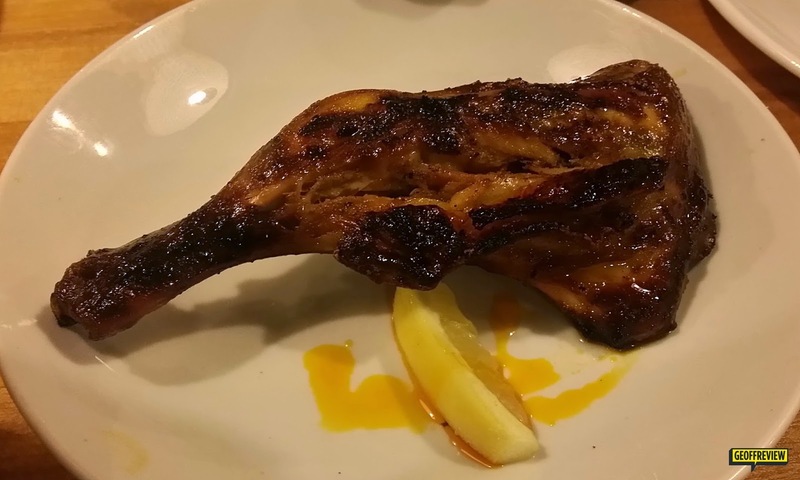 What I loved about their Inasal is that it had hints of lemon in it, and the flavour is not just skin-deep, it seeps all the way to the chicken meat. I wished though that they had a bigger serving. Just give us bigger servings and this would be so much better than Mang Inasal. 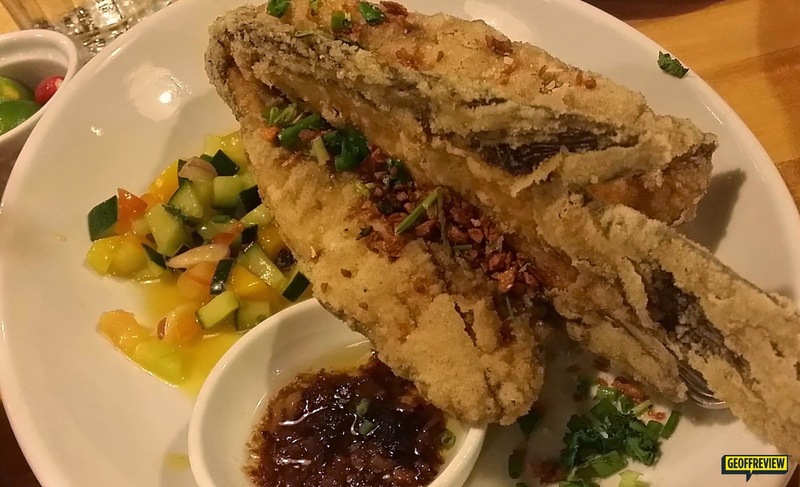 The same friend who recommended Sarsa Kitchen + Bar to us also recommended the Crispy Tilapia (Php 245.00). It comes with salsa made up of mangoes, tomatoes, and cucumber, and Sarsa XO Sauce (which I’m assuming is the spicy dip). Personally though I didn’t find anything special with it, except that it it’s covered with some sort of flavoured breading. Since we were already having an overload of meat, we knew we had to get some Utan (bisaya for “Vegetables”). We all agreed to have the Bugtaw-Bugtaw – Gising Gising (Php 155.00). 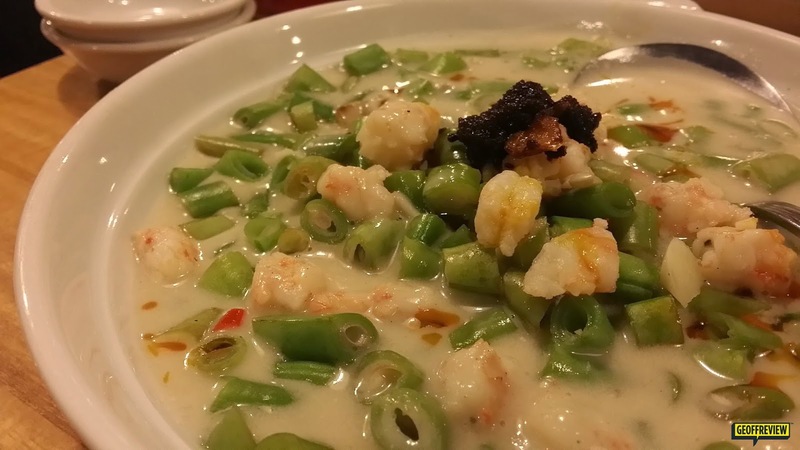 What’s different with Sarsa Kitchen + Bar’s version of Gising-Gising is that it’s served with shrimps and bagoong. 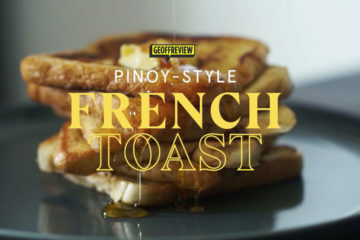 It’s my first time to try this combination and it worked well, although I was still looking for the spiciness of the traditional Gising-Gising that I’ve been used to. Of course, after all the oil and ginamos that we’ve been having, a dessert was necessary. The lady taking our orders told us that their best-selling “Tam-is” is the Banana Tsokolate Turon (Php 80.00), so we had that one. Honestly, the presentation wasn’t very flattering and I was a bit disappointed with the finale of our meal. 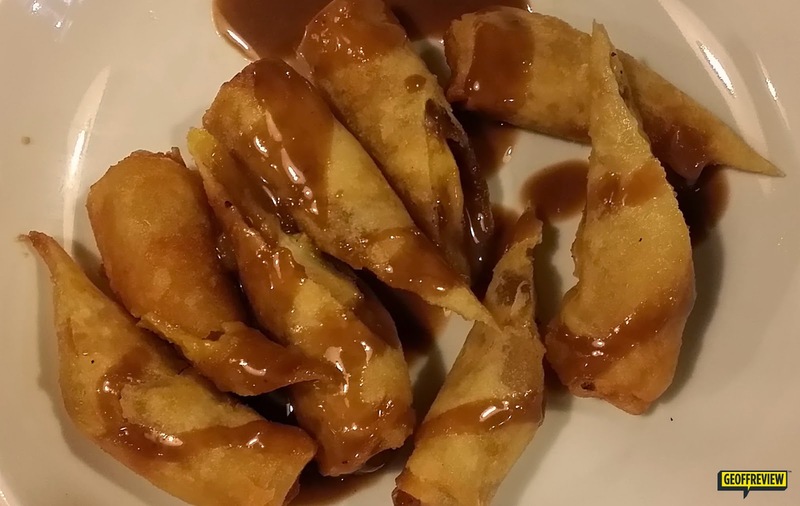 It’s banana and langka turon made sweeter by peanut sauce. It served its purpose but not memorably. 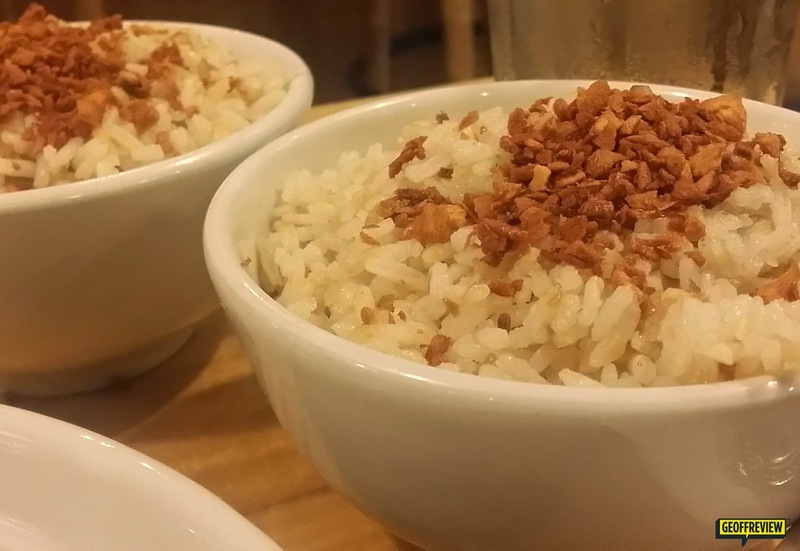 I have just added Sarsa Kitchen + Bar to my list of recommended Filipino restaurants. 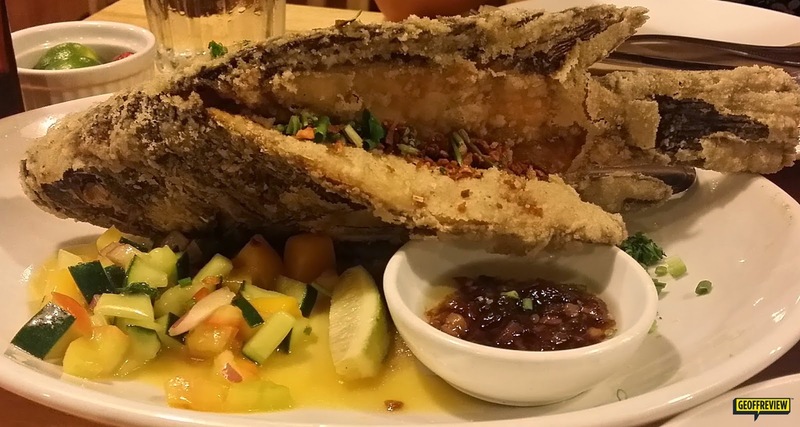 They serve authentic Filipino favourites that fully capture the Pinoy taste. How about you? 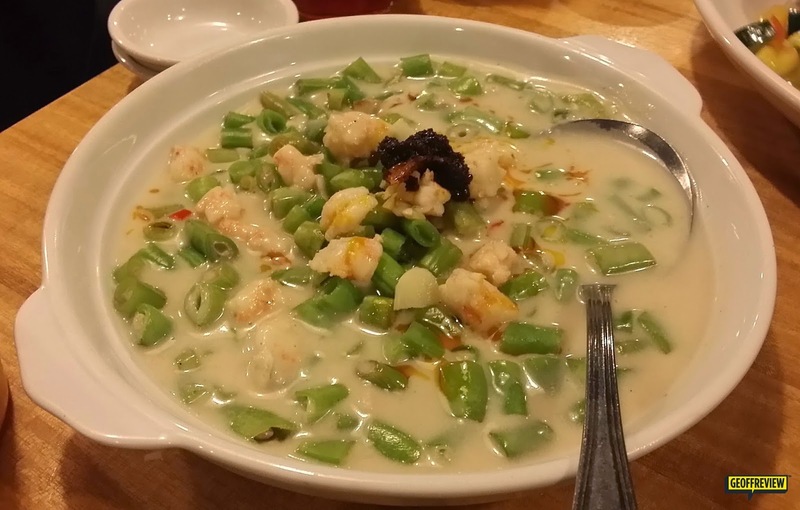 What is your favourite Pinoy dish? A happy tummy = A happy Geoffrey! Previous ArticleHear Bradley Cooper as Rocket Raccoon! Three Guardians of the Galaxy Teasers Released! Next ArticleGet a chance to be in the Star Wars: Episode VII Movie! I haven't read an enjoyable food review in a while. That Ginamus rice is sure tantalizing! Will definitely visit this resto when I get the chance. On a side note, I find it hard to read the post. It's a preference but I like my fonts not too small. Apart from that, great blog!